The Mark 2 Binocular is free-to-use and has an optic power of 8 X. 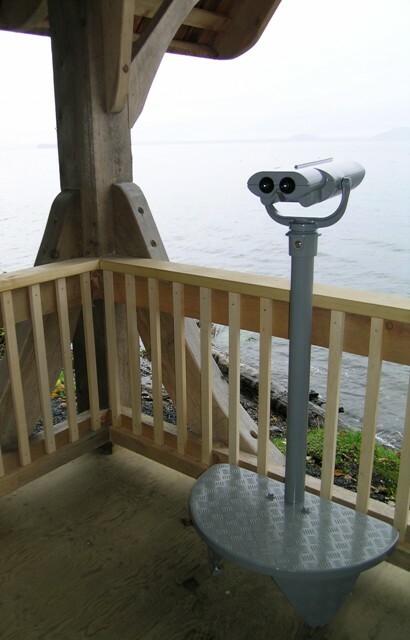 This viewer is ideal for cafes, observation outposts and where a free-to-use service is desired. there is virtually no maintenance. The factory set focus combines with great stability to provide ease of observation over long distances with no time constraint. Standard Base: 25 cm diameter (no step). (A step base is available).